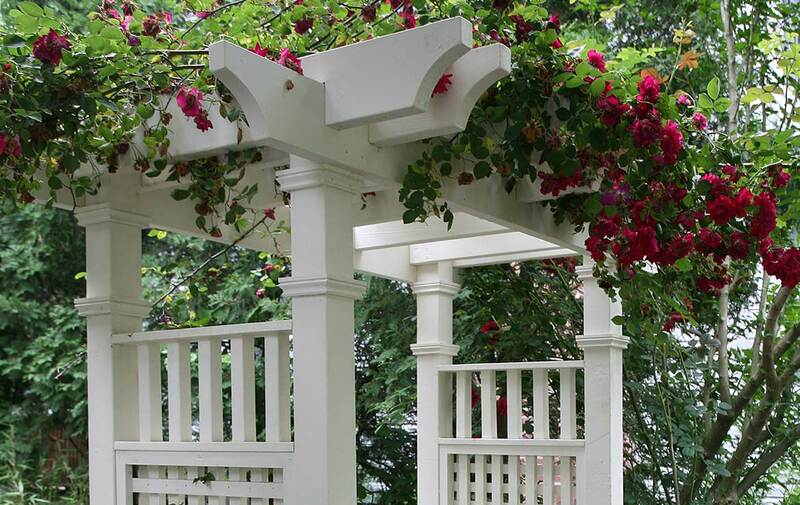 Glen Rock, NJ – Arbor with Climbing Roses at entrance to rear garden. 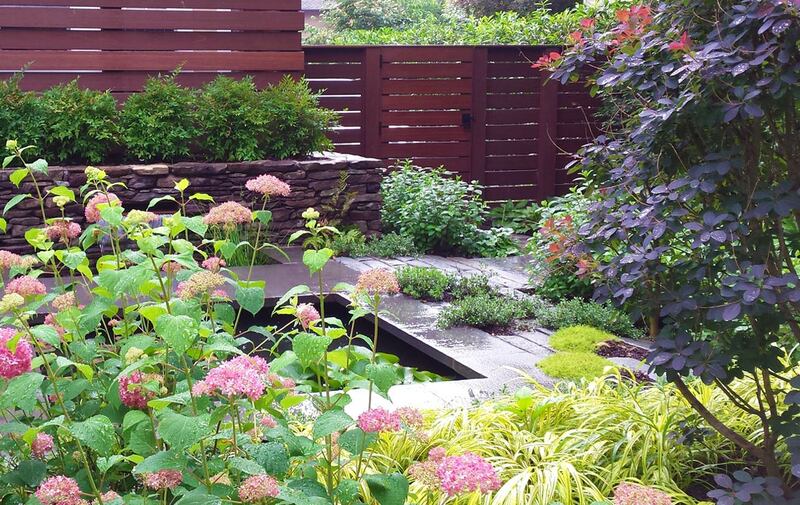 Leonia, NY – Custom mahogany gate and fence to rear yard garden with water feature. 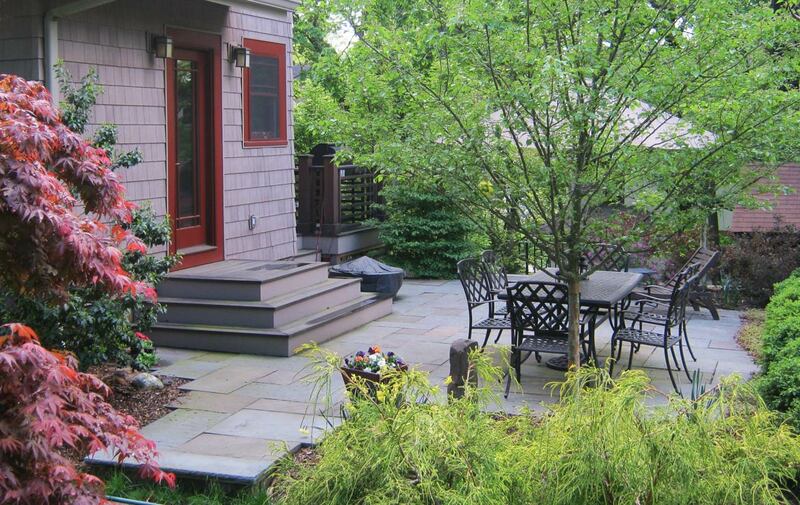 Ridgewood, NJ – Stone steps, bluestone curb and tumbled bluestone pavers. 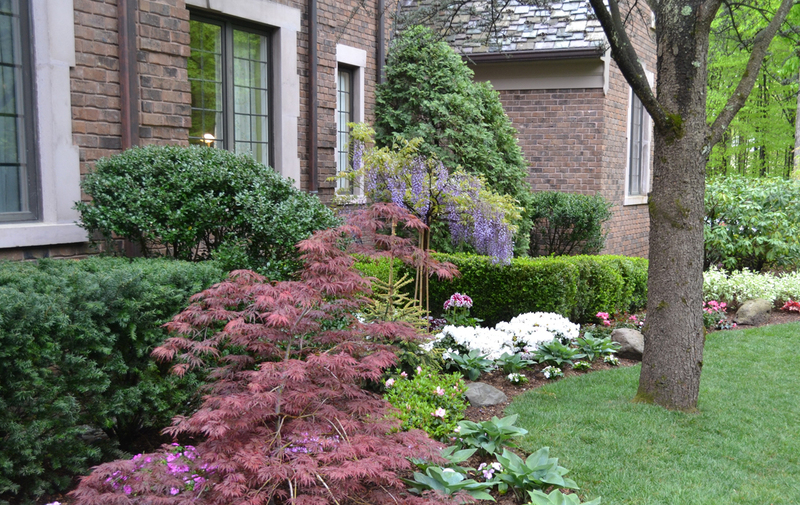 Saddle River, NJ – Spring shade garden. 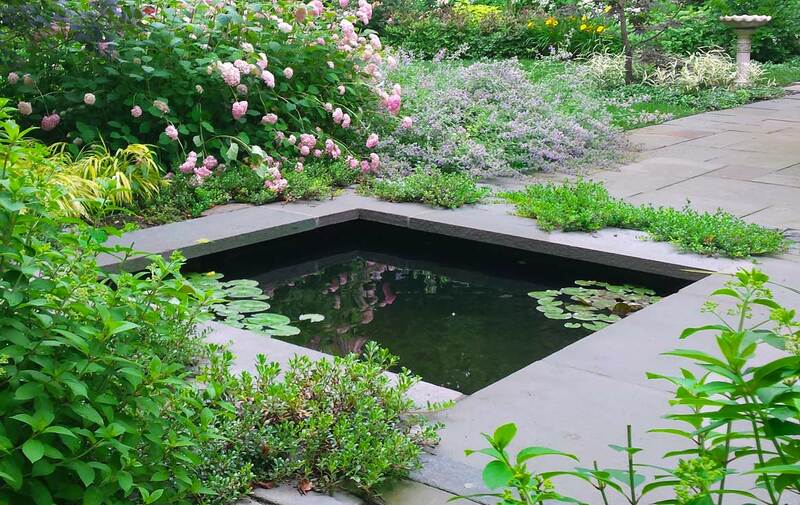 Leonia, NJ – Reflecting pool and garden. 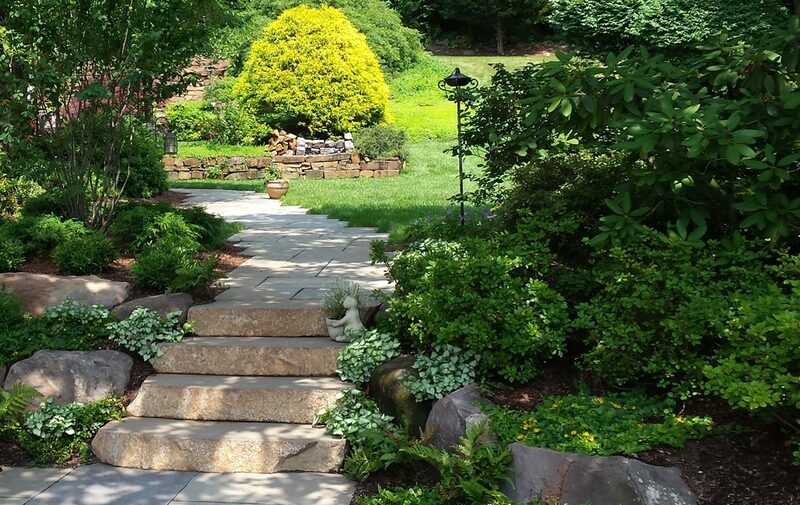 Upper Saddle River, NJ – Natural slab stone steps and bluestone walk. 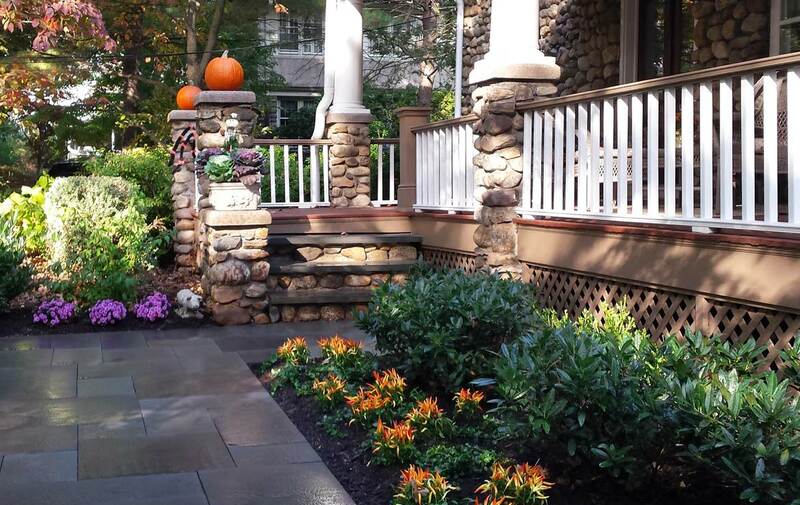 Leonia, NJ – Bluestone terrace with mahogany landing, steps and deck. 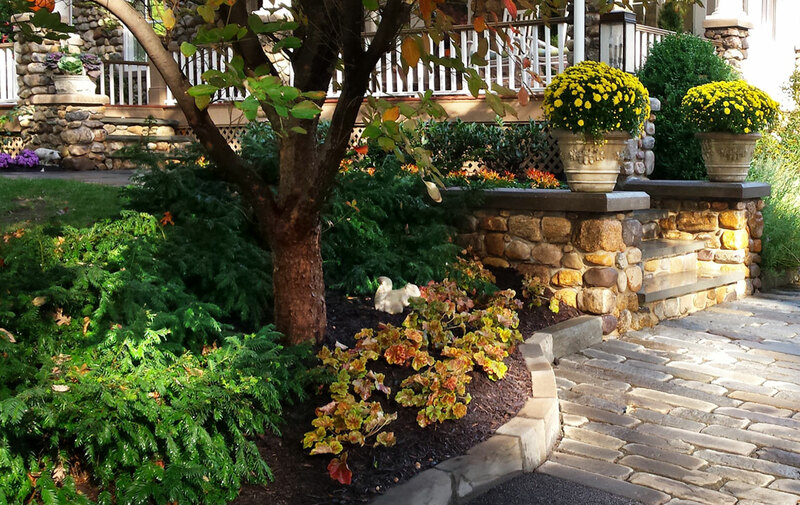 Ridgewood, NJ – Bluestone walk and seasonal Fall annuals. 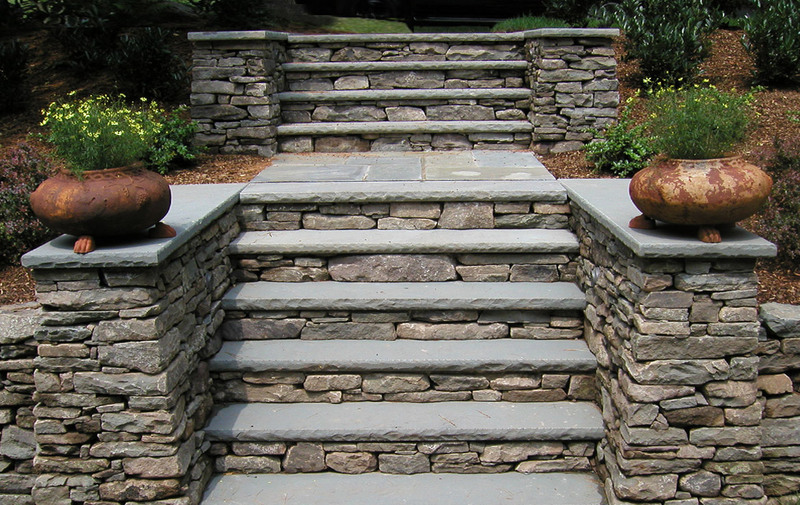 Montclair, NJ – Fieldstone walls and steps with bluestone treads and wall cap.